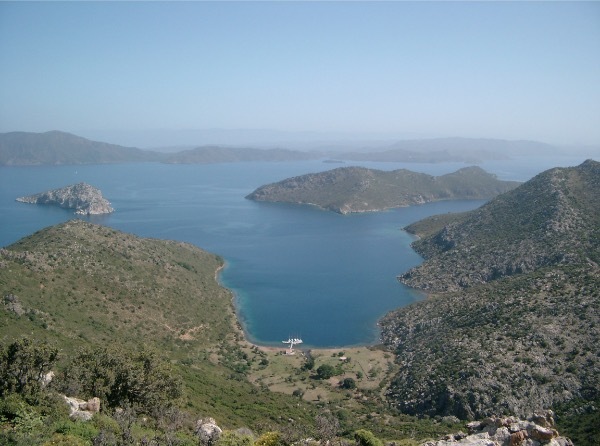 The name given to this cove lying on the west side of Kazikli Limani – a large bay situated between Alangul Burun on the south and Kara Burun on the north. The pine clad slopes lead down to the shore and a small beach. 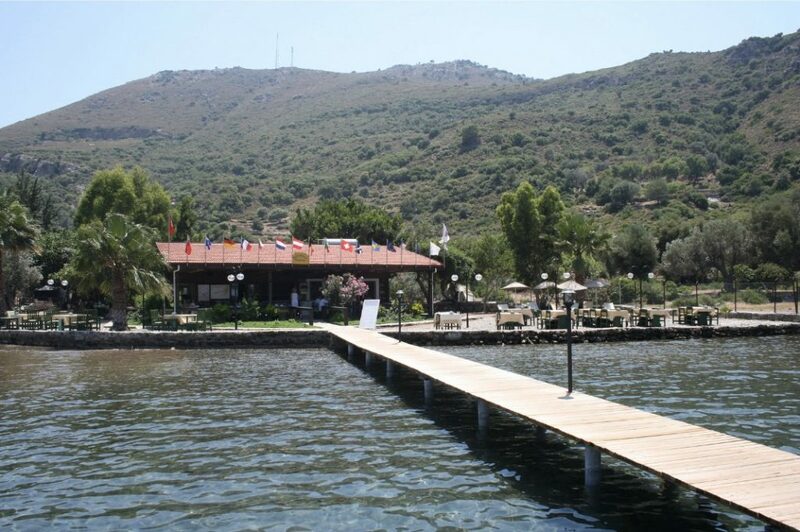 Mehmet Sengul and his family will welcome you to their restaurant in this tranquil bay as they hand you a lazy line on their wooden jetty. They have built this haven from scratch over the last 15 years. He started with a wooden jetty and small kitchen. Very quickly Mehmet drilled to get spring water and installed solar panels to provide hot water. Following this his garden grew and so did his reputation. The food is now prepared in the charming stone house set behind the wooden decking. 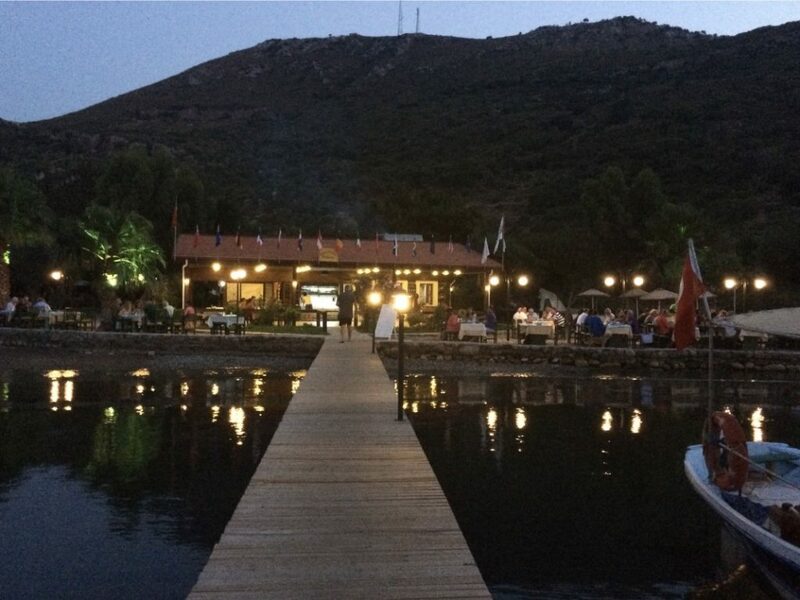 In the evening tables are set on the waters edge in this natural bay. With plenty of fresh water from the mountain spring you can expect solar heated showers in this natural setting. 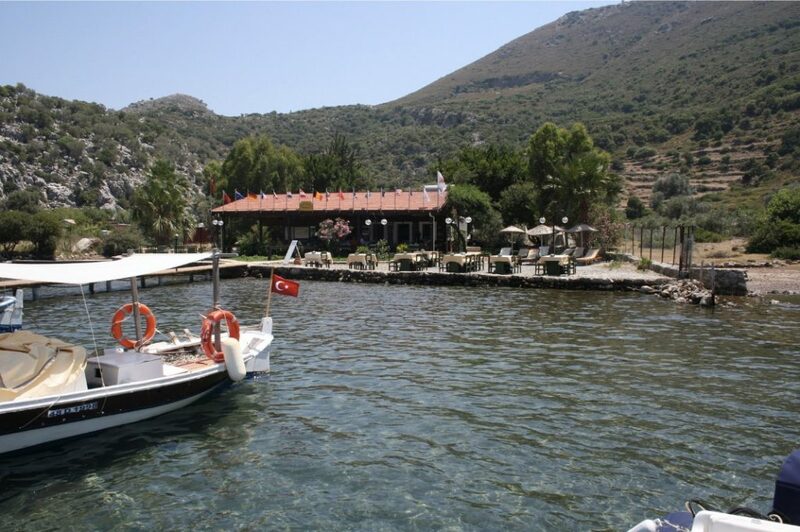 The goats roam freely and you can wander through the gardens where Mehmet is growing his own vegetables. Put on your walking shoes and wait for the day to cool down before take a hike up the hill to see the fabulous views over the bay.